How far? How you dey? Wetin dey happen? Well, you may be wondering what in the world we just said. Don’t worry we’ll explain more later and also what it has to do with our ministry and the congregation. The first month of the new year brought with it many wonderful developments both within the congregation and outside of it. So let’s begin. In July 2011 the simplified study edition of the Watchtower was released in English. 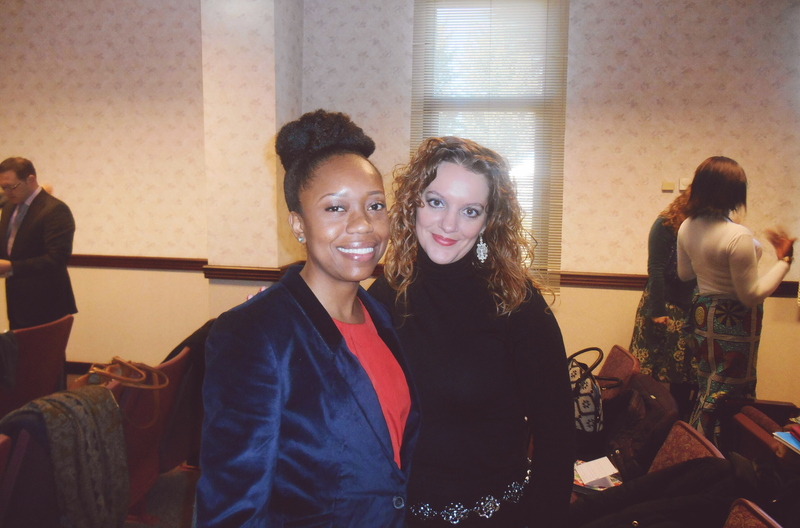 At that time Kanicia and I were busy with activity in our French congregation in California and we didn’t really feel that we would be affected by the release of the simplified Watchtower. Well fast forward to January 2015 to the Bilbao English congregation in Spain. A few months back it was announced that our congregation would begin using the simplified edition starting in January 2015. This seemed like the natural thing to do when considering the makeup of the congregation. First, we have many Bible students that regularly attend the Sunday meetings and they have limited understanding of Bible truths. Latley many of the studies have been considering deeper things like covenants and the resurrection which could be difficult for a Bible student to fully grasp. By studying the simplified edition it allows the Bible students to better understand the material and to also be more inclined to comment. The second benefit to having the simplified edition has to do with the level of English in the hall. While many speak and understand English well, for the vast majority it is not their first language. Many friends among themselves speak Spanish or a regional African language. So to be able to have the Watchtower study simplified for the entire congregation has been an enormous benefit. Not only are the children commenting more but it is easy to see that points that may have been difficult are now being understood and appreciated. In truth the simplified edition benefits even those with a good understanding of the English language. How so? Well, by studying the information in a simple format it enables us to be able to teach and explain it in a way that our students will be able to understand. 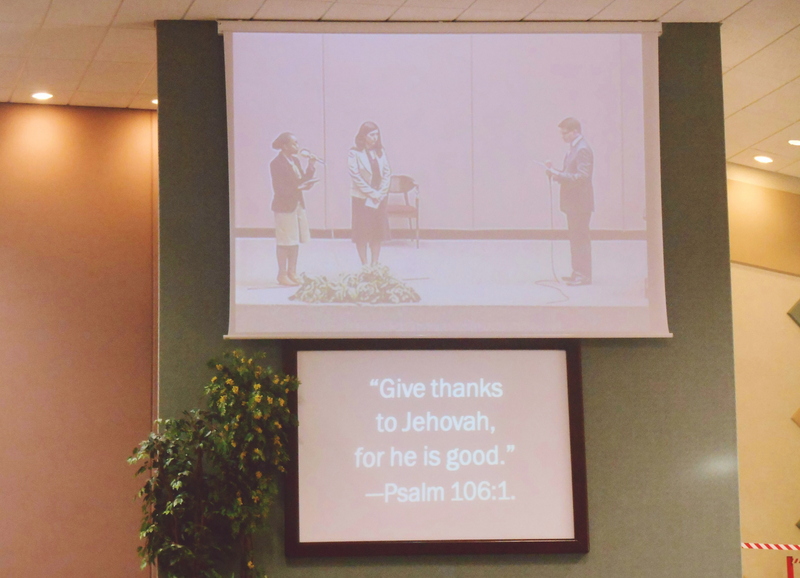 So we can say that we are very happy to be in a congregation that has made the move to the simplified edition and we are clearly seeing Jehovah’s blessing on the arrangement! Our congregation is also now benefiting from a new arrangement as of January 2015. The elders have approved for a second Theocratic Ministry School to be held in the second hall. At first this will be held twice a month. This will no doubt prove to be a real blessing as more publishers get the opportunity to improve their teaching ability by means of giving talks. This new development coincides nicely with the new updates that are being implemented throughout the world in regards to the #1, #2 and #3 parts. Since our congregation is growing because of ones moving over to help and also progressive Bible students joining the school we definitley see Jehovah’s blessing on the approved second school. The brothers have given me the privilege of conducting the second school. With Jehovah’s help everything should work out. 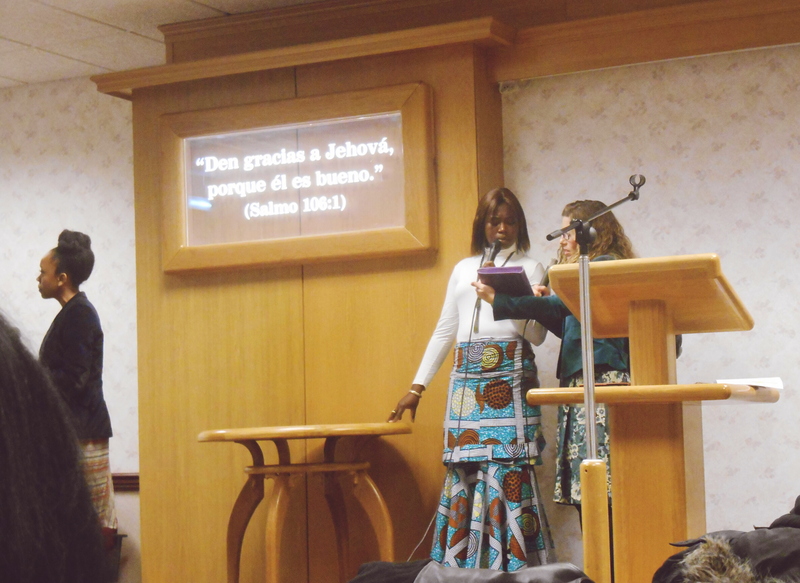 Another blessing from Jehovah that we were able to experience in January was our Circuit Assembly entitled ‘Keep Seeking Jehovah’s Righteousness.’ Ours was held in Madrid on January 25th. For this assembly we had an added bonus, the pioneer meeting. This was our first pioneer meeting in Spain. Since the pioneer meeting was on the 24th we made arrangements to ride to Madrid a day early. We had a nice drive up to Madrid together with two other pioneer sisters and a pioneer couple. Both of the sisters began pioneering in September. It was a pleasure to take in the scenery on the way to Madrid which included plenty of snow. During the ride down we enjoyed some homemade Spanish tortillas and caldo. Caldo is like a broth that is typically had during the winter months and can be found in almost every bar and restaurant. It is known for keeping you warm and we were definitley not disappointed. Before we knew it we arrived in Madrid with plenty of time before the start of the pioneer meeting. Kanicia and I were excited because we both had parts during the pioneer meeting program. I had an interview and Kanicia had a demonstration. The theme of our pioneer meeting was ‘Keeping pace with Jehovah’s Chariot’ based on Ezekiel 1:20. Here are some of the latest stats for the pioneers in our circuit. We had 34 new pioneers as of September 2014. We have a total of 181 pioneers and 8 special pioneers. It was great to be able to associate with other pioneers in the circuit and to be built up and better equipped for the ministry by means of the talks and demonstrations. We are already looking forward to the next one. The next day we attended the circuit assembly which started at 10:30. Our congregation was able to rent a bus again which had plenty of seats for publishers and Bible students. They left early Sunday morning in order to be in Madrid in time for the start of the program. 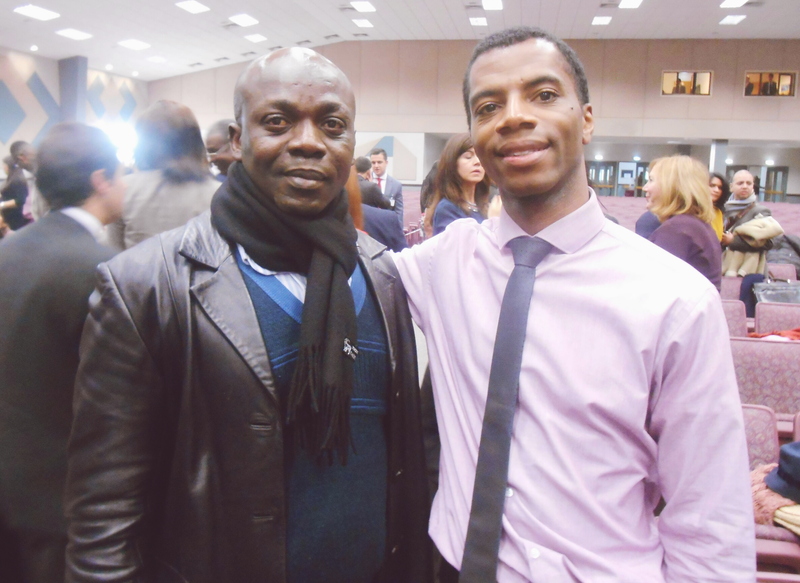 I was very pleased to have my Bible study Peter from Ghana attending the program with us. Since the bus left Bilbao at 5:00 in the morning we made arrangements to make sure that Peter was able to attend. A loving family in our hall allowed Peter to stay with them the night before so that they could leave and be at the kingdom hall in the morning on time. We are impressed by the spirit of Christian love and self-sacrifice that many of our brothers show on a regular basis. Peter sat by us throughout the program and he thouroughly enjoyed the assembly. He was also excited to be able to use his new large print song book that had just come in for him. It was especially nice to be able to sit next to him as we watched five new brothers and sisters being baptized. This was able to help him to see that one day he could be the one to be baptized. It was also great because there was one Bible study that was baptized from our congregation. This is the second assembly in a row where we have had someone from our hall baptized. It is truly great to see the productive territory in the English field here. 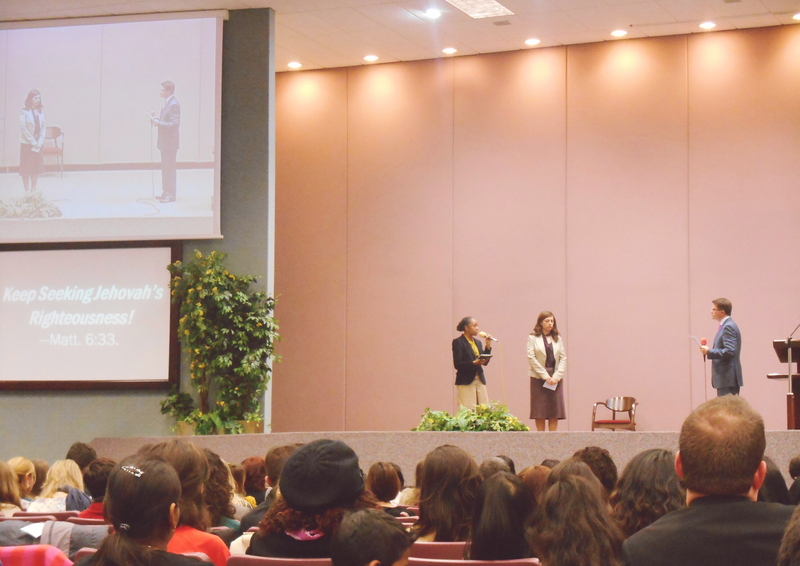 This motivates us to work even harder to help new ones come to know Jehovah. 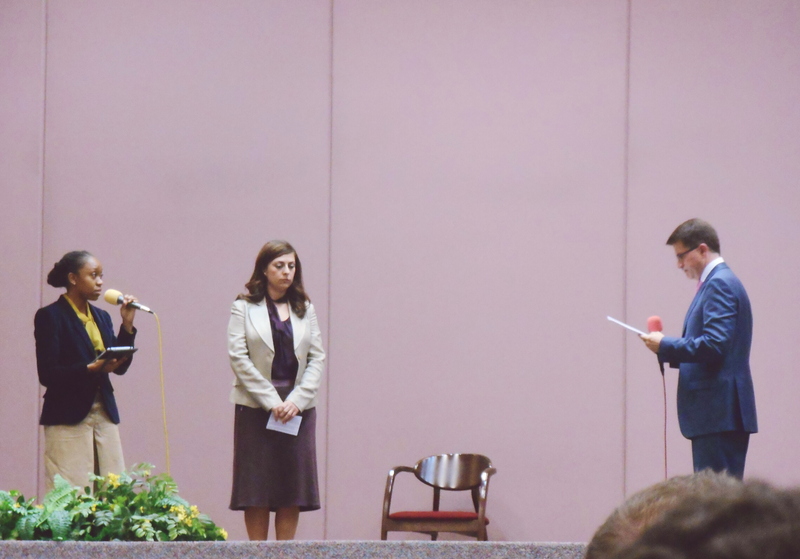 During the second half of the circuit assambly program Kanicia had the privilege of having an interview during the symposium about ‘Pursuing Righteousness.’ She did a great job and many friends seemed to be encouraged by her experience. Overall the combination of the pioneer meeting and the circuit assembly has set the tone for an amazing year full of abundant blessings from Jehovah and no doubt many surprises! During the month Kanicia has been experiementing with some creative witnessing methods. Here in Spain a messenger app called Whatsapp is very popular on mobile phones. It allows ones to communicate as they would with a text message but it is free if one has internet access. It can also transfer audio, pictures and voice messages. Well Kanicia has been using it to send a stimulating article to some of her return visits that she is not able to visit face to face every week. Along with the article she leaves a thought-provoking question. After some time Kanicia thought that her efforts were not working. But after sending one visit an article talking about the future she received a phone call from the woman thanking her for sending the article. The woman had her Bible and wanted to discuss the subject further, this lead to a 40 minute bible discussion. She then requested to take time out regularly to examine God’s word. This just shows that persistance can end in reward when it comes to the ministry. Things have been going well with my study Peter also. On our first study after the assembly he expressed his desire to start attending not just the Sunday meeting but also the midweek meeting. 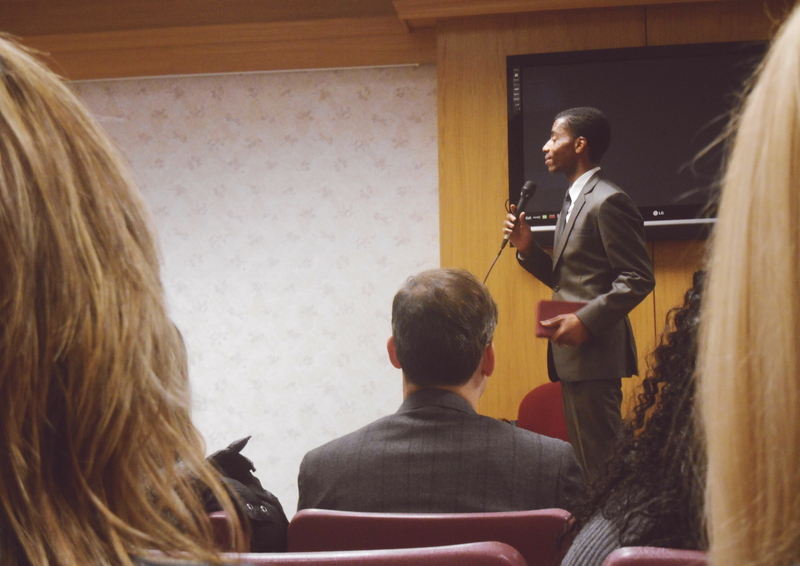 He also asked many questions about baptism and expressed his desire to work toward that goal. This just underscores the positive impact that having a Bible student attend an assembly can have. On another note, we hope that you have been enjoying JW Broadcasting as much as we have. It seems that January saw more videos, morning worship, interviews and branch updates than we have seen in past months. We hope that this trend continues. Even though Jehovah’s modern day people are now over 8 million; thanks in part to such technology it seems as if we feel closer to our worldwide brotherhood than ever before. 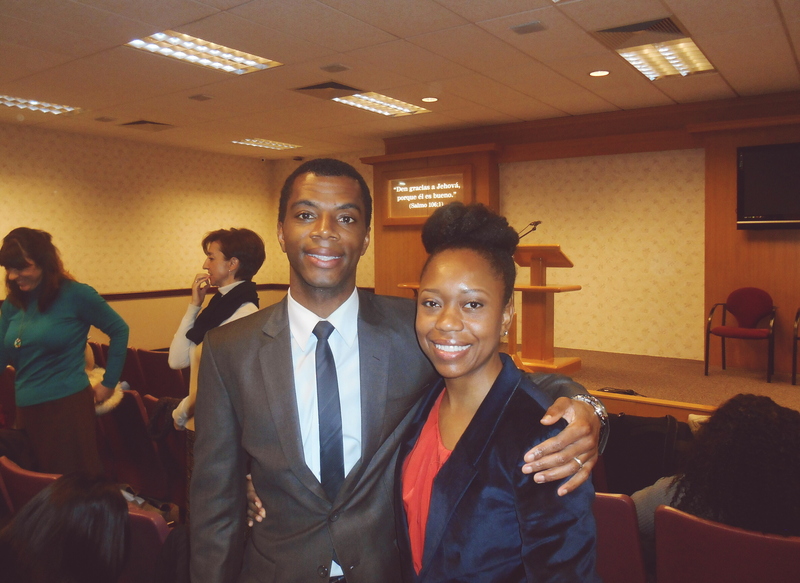 We especially loved the talk that was uploaded to JW Broadcasting entitled ‘In their own tongue and style of writing’. If you have not heard it yet and you speak English stop reading this blog and go and listen to it. 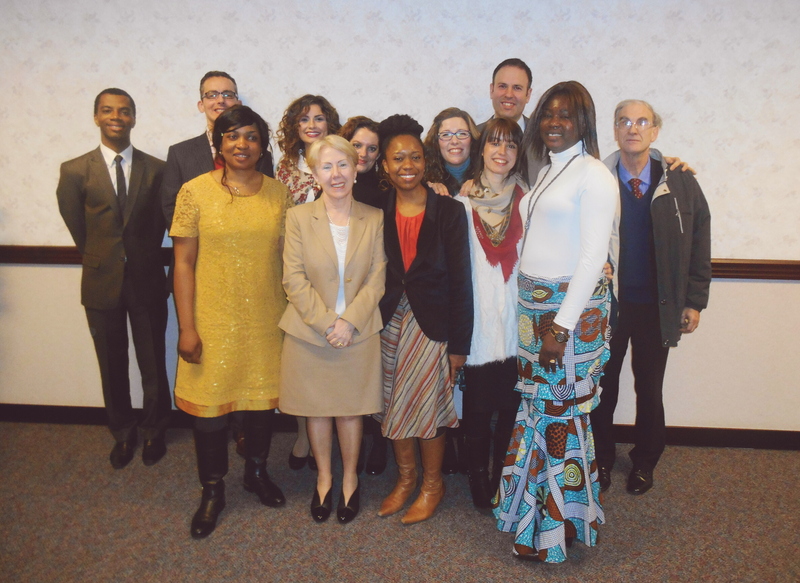 Anyone who is serving in a foreign language field will really appreciate seeing that Jehovah truly cares about all peoples and all languages. The talk also covers the history of pagan teachings entering the church in a really easy to understand and interesting way. That was definitley our highlight for January on JW Broadcasting. Now on to a more personal note. Being a new year and all we have set some goals as a couple in regards to our Bible reading. We have been wanting to do some sort of accelerated Bible reading program kind of loosely based on Gilead for some time now. We were inspired to set some specific goals after reading a post by my friend, Joseph. Joseph is a brother who is currently pioneering in the Chinese field in the Dominican Republic. He basically had set out to read the Bible in 60 days with a very specific schedule. Now while that most likely will not work for most people it was pretty cool to be able to see someone commit to such a schedule and accomplish it. In a blog post he outlined in great detail other schedules that would allow one to finish the Bible in 80 days and also 160 days (5 months). Well after seeing others taking up the challenge we thought that January would be a good time for us to begin. We’ve decided on the 5 month schedule which involves reading 30 minutes a day. So far we have been fairly regular usually reading after dinner around 9:30pm or 10:00pm. We decided to start in the Greek scriptures with the book of Matthew. At the writing of this blog we have finished Matthew, Mark and Luke. Along the way we try to note verses that we would like to research further and this at times can serve as the basis for family worship evening. We are pleased with our reading and it is helping us to see the improvement in the revised translation. So if everything goes according to plan we should finish reading the Bible as a couple by the end of May. If your interested in reading about the schedule here is the link to Joseph’s blog. So let’s get back to the opening phrases of this blog post. What does it mean and what does it have to do with our ministry you might be asking yourself. Well, if you are not from West Africa you might be saying to yourself, “I no no” which means I don’t know. The opening words were spoken in Nigerian Pidgin English. How far? How you de? Wetin de happen? mean Hi, How are you doing today? What’s going on? Pidgin English is extremely popular in most parts of Africa, particularly West Africa, and has been accepted as the de-facto language of blue collar trade and merchants. With roughly 250 tribes speaking 521 languages and dialects, English is Nigeria’s official business language. Variations of Pidgin English can be found all over the world, from the Caribbean to China, and each comes with its own library of everyday words. Our organization even produces literature in Pidgin from Cameroon and Pidgin from the Solomon Islands. There have even been Bibles produced in Pidgin by secular sources. So why would we want to learn it? Well, it’s really quite simple. We want to better relate to those whom we preach to and those in the congregation. In our territory about 95 percent of the ones with whom we speak with are from Nigeria. 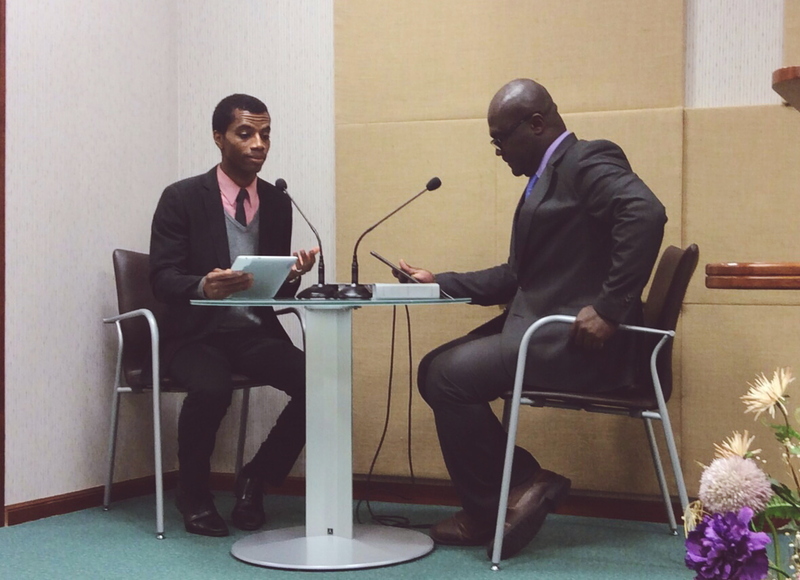 By being able to know at least a few greetings and phrases in Pidgin it can open the door to a greater witness and possibly break down barriers that may exist. Typically what might have happened in our territory would be that once we open our mouth to speak we are posed the question of where we are from. This can cause a division for the householder between us that doesn’t necessarily have to be there. So by taking the time to learn about the culture and the common language spoken by those whom we preach to we hope that it has a positive effect on our ministry. Speaking of the congregation about 80 percent of the publishers are from Nigeria. So in an effort to endear ourselves further to the friends and to show that we really care about their culture we are learning Pidgin. Are we seeing any positive results? Yes! When I spoke to my call with a few phrases in Pidgin he couldn’t believe it. He was impressed and I could see that he appreciated me speaking in his language. He says that now during the study we will speak in Pidgin so that I can learn faster. We’ll see how that goes… 🙂 Kanicia has also been able to speak to some sisters in the hall in Pidgin and they have really loved it. They want to teach her more and we can see that it will have a great effect as we continue to improve. So, in a funny way it looks like we have come to Spain to learn how to speak English, or Pidgin English to be more exact. So friends and family thank you for taking the time to read our post and we hope that you are all well and busy in Jehovah’s service whereever you may be!